New this year will be a block schedule which allows students to focus on only 4 classes each semester with longer class times. This also allows students to earn 8 credits per year vs. 7 at the big high school. Each day will start with Big Group to go over announcements, expectations and special events such as guest speakers or college presentations. 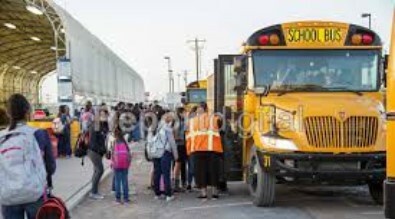 MVHS runs on the same bus schedule as DHS and is provided by Deming Public Schools. Students who ride the bus will be released no more than 5 minutes early to walk over to the bus pickup line on Wildcat Drive. A Late Bus makes a run to Columbus and the Port of Entry at 6:00pm for students who stay after school for study or activities. Need help fixing these errors? Contact us!